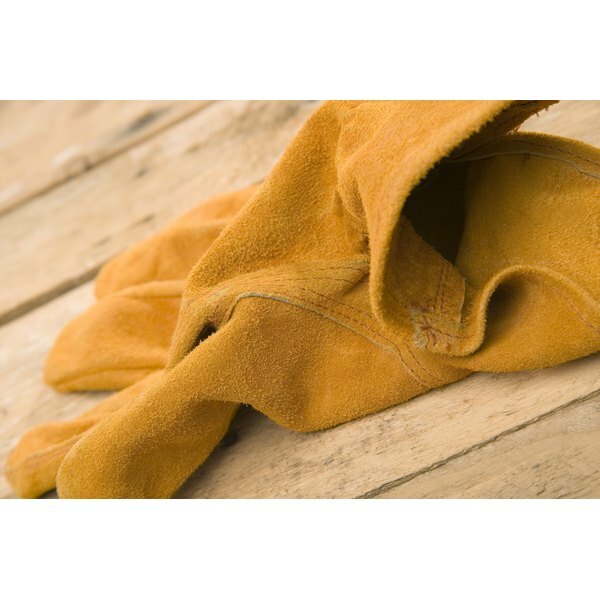 Clean your sticky suede gloves at home using expert repair tips. If you have small fragments of sticker residue firmly planted on the front of your favorite piece of suede clothing, there is no need to panic. Although suede is a highly-porous material that easily fades, you can lift the super sticky particles off the surface of the nap, without destroying the sumptuous fabric. With a steady hand and a few common household products, you can restore the beauty of your favorite suede garments within five hours or less. Scrape the sticky pieces off the suede with the edge of a metal spoon. Rub the spoon back and forth across the suede to lift the sticker fragments off the leather material. Place the item in the freezer for three to four hours to harden the gummy sticker residue. Lay the garment or purse on a large towel before placing it in the freezer. Once the sticker fragments are hard to the touch, remove the item from the freezer. Brush the nap of the suede fabric with a small-bristled suede brush immediately. Move the nylon or rubber fibers of the brush quickly over the surface of the suede to lift the frozen sticky fragments before they melt. Remove any remaining adhesive with a gum eraser. Rub the eraser using a back and forth motion to clean the gummy residue completely. Get rid of resistant sticky sections with an emery board or a small piece of sandpaper. 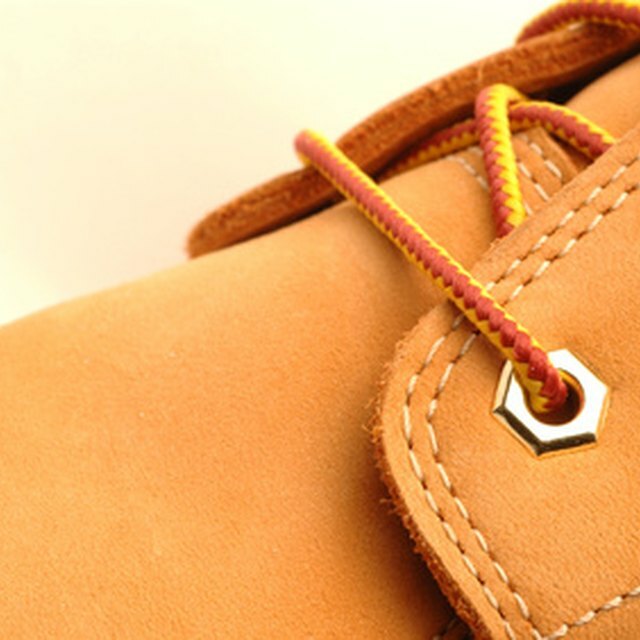 Rub a piece of extra-fine sandpaper or an emery board across the grain of the suede gently -- and in one direction only. Recondition the fabric with a suede conditioner, available at shoe repair shops. The conditioning product will rejuvenate the color. If the suede nap appears flat, fluff up the fabric with an old toothbrush. Before applying the sandpaper, emery board or eraser to the suede, perform a patch test on an inconspicuous area to make sure you do not harm the fabric permanently. Do not rub the suede fabric with a small-bristled brush too frequently. After regular brushing of the suede, pieces of the fabric may disappear completely and permanently.